$200 multicam 2 rifle 3 pistol cordura soft case with shoulder straps for $89. Probably would fit even more. Great looking range bag. Made in the usa. Morakniv Craftline Pro S Allround Fixed Blade Utility Knife with Sandvik Stainless Steel Blade and Combi-Sheath, 3.6-Inch *********$9.50. ************ Prime one day. For two it's an excellent price. Currently on in unadvertised Store Clearance at $71.82 until August 4th, this is almost $70 cheaper than I can find it anywhere on line. This was designed as an air rifle scope but it is really over built. I have read reviews of people putting them on 300WM; which I do not suggest. I did however put one on a 308 and it works just fine and holds zero. It is actually heavier and more solidly built than the scope that came with my R783 so I put it on there. I do not recall seeing a FFP scope at this price point either. Just to add to Stercutus's point: "Air rifle scope", all other things being equal, is actually a testament to durability. In air gun parlance, a scope advertised as much means the optical elements are anchored in a way to withstand the destructive bi-directional recoil of heavy spring piston airguns. FYI: Monstrum also makes some inexpensive FFP scopes. No idea of their quality through. This place is going out of business in UK. Great deals. If anyone in UK wants to forward me some gear from there. I'd gladly pay you. They don't ship to the US. Everything is on sale 40%-60% off. Spanish M65 Field Jacket w/liner $15! This is my local surplus store. These jackets are a bit thinner and lighter weight than the traditional US version. According to one of the reviews. But that might be good for those in warmer climates or for summer/fall use. And it comes with the liner. Pretty good deal to me. They run one size small. And only come in 2xl and 3xl. So if your 1xl and 2xl your good to go. One size away from mine (3xl). So I had to pass. But I'm buying one for my friend that gave me his 2xl OD Green Boy Scout wool jac-shirt for free. Ya. This jacket won't make up for it. But it's a start. Shipping wasn't bad either. I don't think they gouge you at this place. I purchased a lot of stuff from them over the years. It's actually in the same space as VooDoo Tactical's factory. I think they might be owned by the same people. 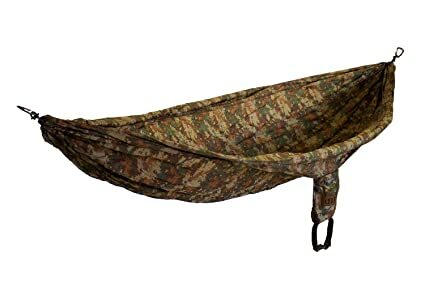 Constructed from the same breathable, quick-drying nylon as other ENO hammocks, the CamoNest features a camouflage pattern to help you blend into the environment, wherever you might be. I think this is the new company of the Golite founder. If you're searching for a good deal on a down jacket or rain gear or an ultralight backpack in the middle of summer. It's time. Everything is 70% off. Down jackets from 700 power to 850 for $79-$149. Normally in the hundreds of dollars. I just got a 700 down jacket for $79 (normally $230) and not only does it fit me perfectly but it's well made. I just purchased the 850 tonight. And if your big sizes there XXL goes up to 54 inch chest. Thank goodness. Hard to find down jackets or rain jackets in that size on sale. The above sale is dead. But it's still for sale on Walmart for $12.33. With local pick up. Or $5.99 shipping. https://www.walmart.com/ip/Magnum-Kukri ... e/21988703 And oh ya. I finally bought it. lol. I'll be cutting blackberry vines with it this time next summer. Walther Creed $269. Good deal on a largish carry pistol or smaller full size. Why did they have to make it so HiPoint ugly? Walther, Walther what happened here? A recommendation and a deal... although be it not really a "bug-out" deal. I highly recommend for a cheap carry piece either the SCCY CPX-1 or CPX-2. They can be had for under $200 multiple places. It is a surprisingly great little American made hand gun, an awesome warranty and comes in a variety of colors and... if you have a significant other who needs one to match their shoes... or Jeep. For the former military minded shopper... I really hate to see this guy go. His jerseys have been great quality and it will be tough to find anything similar in the future. 75% off the price in your shopping cart and free shipping if the in-cart price exceeds $100. Use code 75OFF at check out. Sale ends 31 August and he is gone. And they are selling fast. Thanks to all of you loyal folks who have been carrying this thread for years now. I certainly have taken advantage of many of your posts. Classic Arms has a Savage .22lr rifle with scope for $109. Takes extended mags it looks like. Retail is $262. Closes sale price is $149 at SG. Last edited by moab on Fri Aug 24, 2018 7:57 pm, edited 1 time in total. Classic Arms has a Savage .22lr rifle with scope for $109. Takes extended mags it looks like. Bought a lefty version of that for a buddy not long ago. It's a crappy Tasco scope that's pure junk but the rifle seems to be a good shooter and adding a better scope to it made it a pretty good groundhog gun for him. How can you beat that price? Are mags hard to find? What capacity do they go up to? Here's a killer deal. This is quite possibly the best BOB you could buy right now. For the money. 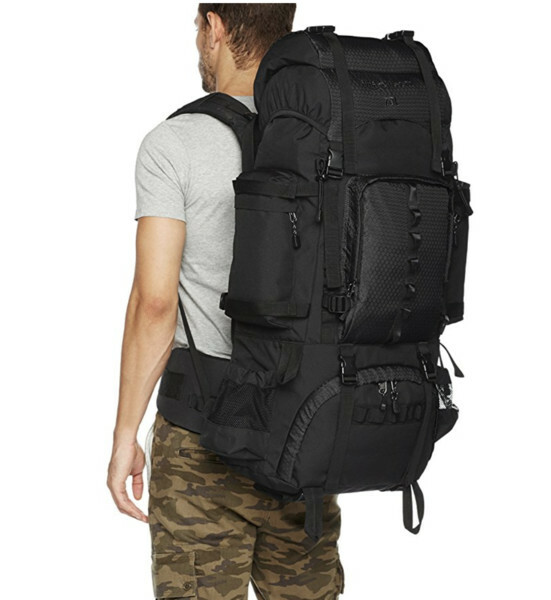 RECON RUCK ULTRA - TACTICAL RUCKSACK $44.50!!!!!!!!! for a $178 enhanced alice pack. This thing is made from the ground up new. HAs shoulder straps and a waist belt. You can add a frame if you want to. Comes in coyote, black and od green. Features & Benefits: Rucksack capacity and organization with Assault backpack comfort, versatility and durability. Constructed from 1000 denier Cordura® Nylon fabric. Removable, super comfortable and functional MTX shoulder harness system. Quick release buckle closures on pockets with on/off hook and loop redundant back-up closure. High tensile Nylon web used throughout. Accessory gear loops on bottom. Will accept standard issue LC-II ALICE pack frame. This tactical backpack is designed to be worn Assault Pack style, but can fit standard ruck frame. Removable 2" waist belt with "ENDLESS" adjustment - no flapping straps! Overall Dimensions: 17.5" high, 14" wide x 10" thick. Main Compartment: 17.5" high x 14" wide x 6.5" thick @ 1,592.5 cubic inches. Additional Pockets - 3 ea. : 11" high x 6" wide x 3.5" thick @ 231 cubic inches. Total Capacity: 2,285.5 cubic inches.